It is that time of year when the scent of candy floss makes its way back into bathrooms across the country, yes my friends, Snow Fairy is back. Each year it is the one product which I always make a point of buying from LUSH, I simply love it, there is also no denying that it makes me feel about ten years old again and do you know what, I am pretty OK with that. 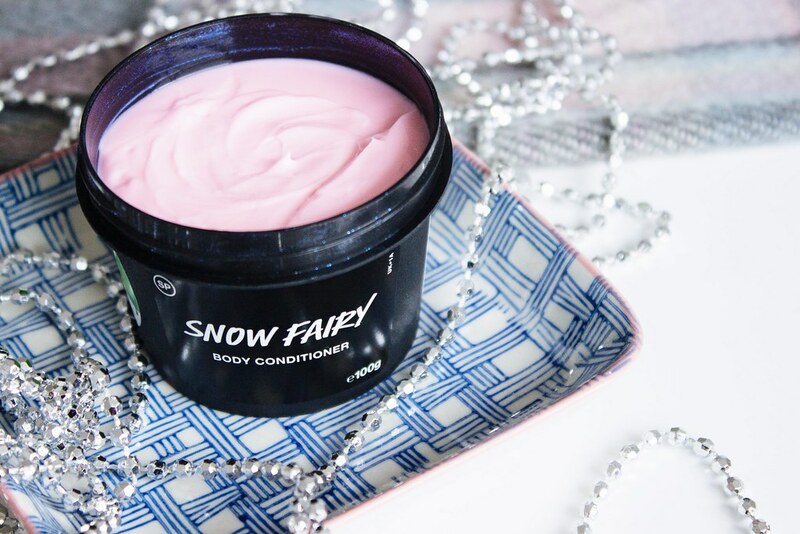 Aside from the launch of the LUSH Snow Fairy Shower Gel for Christmas, an obligatory re-release each year of the super popular limited edition product, there has also been a new launch, that being the Snow Fairy Body Conditioner. This little pot of joy is a fun addition to the Snow Fairy range, I mean to say a pink body lotion with subtle flecks of glitter is more than anybody could want no? Whilst it is certainly not the type of product you would reach for on a daily basis (due to the glitter) it is a really nice addition to your skincare routine for this time of year, particularly if you’re going to a party and have bare shoulders etc as your skin would have a really soft iridescent look to it; super pretty and girly. On that note this is why I think that perhaps this type of product is perhaps more suited to a younger audience, that being said I am a big kid at heart so I am all for it. Naturally of course with all of LUSH products this is cruelty free, it also has a relatively short shelf life so don’t forget to use it up within a year of purchasing. That may sound like a long time but here I am, after having had the Comforter Shower Gel for exactly one year now and it is technically out of date….oops. That’s what happens when you ration your favourite products, you ration them way too much and then get caught out; luckily for me there is only a smidgen left. As a body conditioner I do find this to be quite hydrating, however I will be honest I know that I have used better products in regards to that. I find that it is an immediate improvement in hydration as well as sparkly legs, however it doesn’t last as long as I would like. That being said I am still pretty happy I picked this up, although I will admit that the curiosity most certainly got the better of me when I saw this in my local LUSH store. The only real down side to this for me is the price as I do think it is expensive, especially for the small amount that you get. Perhaps this is the Scrooge in me coming out a bit too early, however for just 100g you are looking at £7.95. Perhaps don’t take my advice and use this up quickly, be frugal, be frugal. 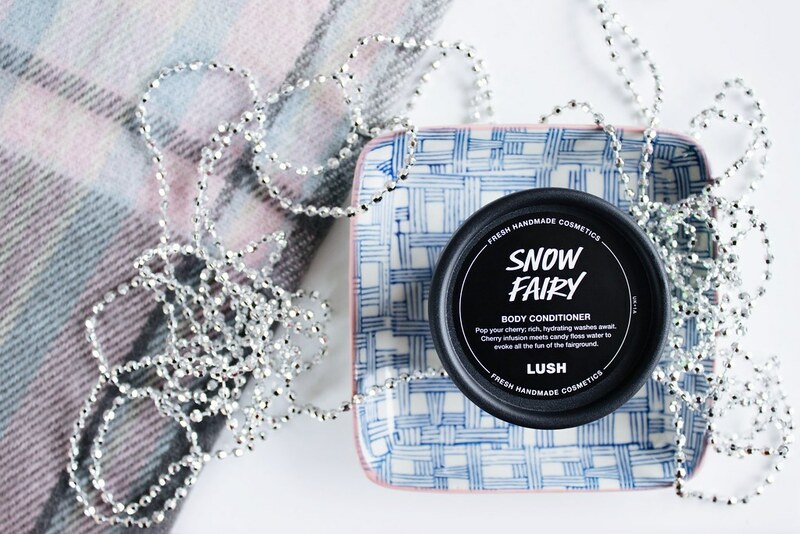 LUSH Snow Fairy Body Conditioner is available at LUSH online and in your local store.